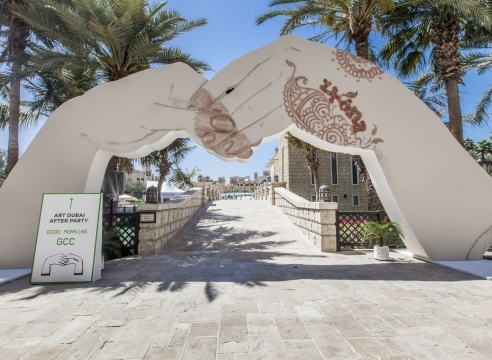 Belief in the Power of Believe investigates the cultural heritage of the Gulf region of the Middle East through relief sculptures by the artist collective GCC. “Heritage engineering” is a prevalent practice in the region that is used to prioritize certain aspects of culture that create and maintain a prevailing narrative of positivity. To this end, “positive energy movements” have become co-opted by governments in the region; new ministerial positions like the United Arab Emirates’ Minister of Happiness have been created, and life coaches and Feng Shui consultants are now employed by hereditary leaders. 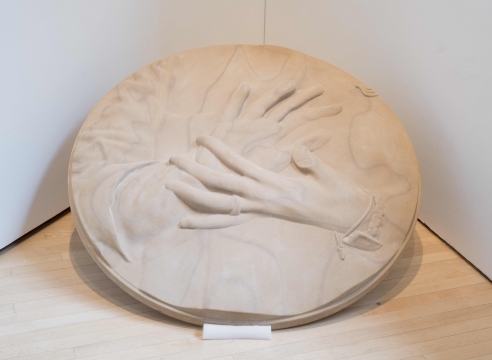 In Belief in the Power of Believe, the artists reference antiquity with a set of monumental sculptural reliefs based on 3D renderings of stills taken from YouTube videos and online images of regional practitioners promoting the positive energy movement as state policy. 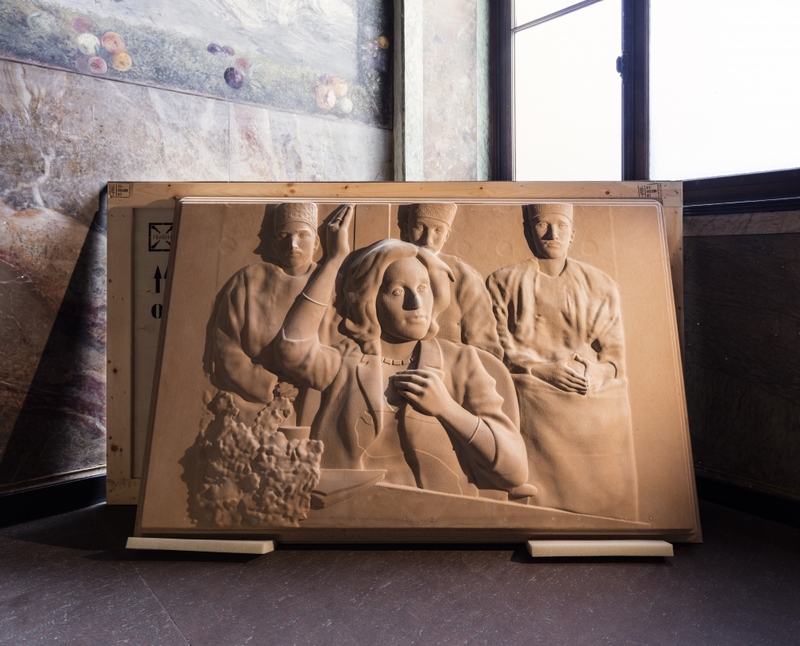 Referring to the erasure and creation of cultural myths, these reliefs become contemporary cultural artifacts; at the same time embodying narratives of the present and the politics of cultural extinction and creation. In conjunction with the exhibition, The James Gallery will host a conversation with the artists and curator, Katherine Carl, at The James Gallery on Wednesday, February 7 at 6:30 pm. Programs with Middle East scholars will also be held throughout the exhibition.